Here are details of the Six remaining locomotives. Following use by French Government, the loco was purchased by Brunner & Marchand in August 1924 and sold to Carriers de la Vallee Heureuse in June 1930 The loco was purchased by West Lancashire Light Railway Group in October 1974. 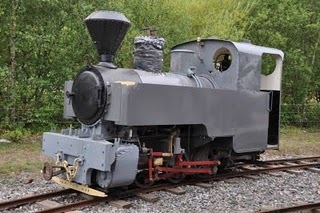 The Picture below shows the locomotive soon after delivery to West Lancs Light Railway - for more details of its restoration see section later in this website, it is anticipated that this loco will be operational in July 2012. Following use by the French Government, the loco was purchased by Brunner & Marchand in June 1923 and sold to Carriers de la Vallee Heureuse in October 1930. The loco was sold for use in the Narrow Gauge Railway Centre, Blaenau Ffestiniog and in March 1998 the loco was purchased by the Tefi Valley Light Railway in South Wales. 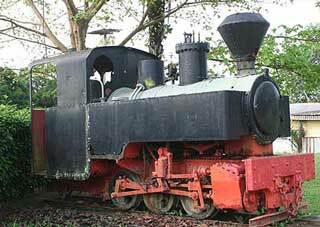 Following use by French Government, the loco was purchased by Carriers de la Vallee Heureuse. The loco was sold for use in the Narrow Gauge Railway Centre, Blaenau Ffestiniog, then passing to the Lynton & Barnstaple Railway Association in North Devon in ???. 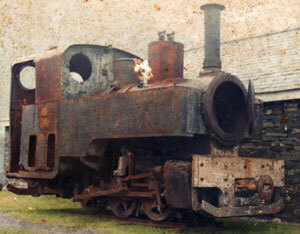 this locomotive has now been restored to working order and has been named 'AXE'. Following use by the French Government, the loco was purchased by Brunner & Marchand in August 1924 and sold to Carriers de la Vallee Heureuse in June 1930. The loco was sold for use in the Narrow Gauge Railway Centre, Blaenau Ffestiniog and in March 1998 was sold to Mr Mayes of Yaxham in Norfolk. The project is proceeding steadily, with the chassis having had work undertaken on same, and the boiler is being rebuilt (2009) and the restoration has involved the co-operation of the West Lancs and the Moseley group's in the manufacturing of items for both locomotives . This locomotive became operational late 2011 on the Apedale Valley Railway, Stoke-on-Trent.